Having been at the Village Dental Center since 2012, Dr. Harmon has great pride in taking the time to care for one patient at a time. The office provides comprehensive care to see to all of a patient’s dental needs. With passion for being on the cutting edge of the industry, He has taken numerous continuing education courses, including: topics on implant dentistry, Cerec technology, cosmetic dentistry and dental ceramics to improve aesthetics and strength, managing gum disease, advanced reconstructive dentistry, and many more. Needless to say, this education puts him right at the top as your leading Sun City West AZ dentist. Dr. Harmon feels it a privilege to care for every patient and looks forward to making lasting friendships with each person. He has been involved in dentistry at many levels since 2005. He attended the Midwestern University College of Dental Medicine in Glendale, AZ and received a DMD in 2012. While in school he received many awards for service and clinical accomplishment and also held prominent leadership roles on the student governing board. Upon graduating, he joined the Village Dental Center as well as being recruited to be part of the dental school pre-clinical faculty. He has affiliated himself with the American Dental Association, Academy of General Dentistry, the LDS Academy of Dentists, the International College of Dentists, and is an Academy Member of The Cerec Doctor’s Organization. He is also a lecturer at the Scottsdale Center for Dentistry, one of the top venues for continuing dental education. 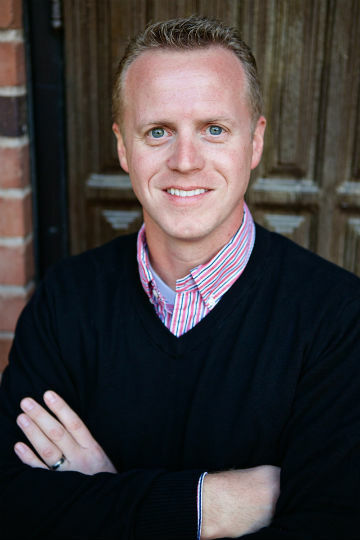 Dr. Harmon is originally from Wichita, KS, but moved to Phoenix, AZ in January 2003 to study music. His musical interest and talent led him to Flagstaff, AZ where he attended Northern Arizona University on a full music scholarship. During his time up north, he played his trumpet in numerous venues. Two highlights of his time with music was performing the trumpet solos for Handel’s Messiah at the annual Christmas performance and touring Germany with the wind symphony in 2007. 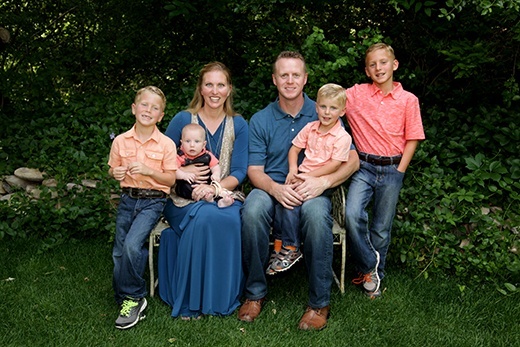 During his time at NAU, he received a bachelor's degree in Trumpet Performance, but it was during that time he discovered his interest in dentistry, and he began preparing himself for a life time of service to his patients. No other Sun City West AZ dentist is more dedicated to your comfort and care. Dr. Harmon is married to Monica, his lovely wife, and together, they have four good- looking sons, Oakley, Peyton, Brigham, and Kai. In their spare time they love to exercise as a family, play board games, gardening, assemble 1000 piece puzzles, complete crafting projects with Monica, swim, bike, hike and travel. Dr. Harmon also still loves to play his trumpet on occasion and will start teaching his oldest son, Oakley how to play this upcoming year.